Dr Dyson Ido (Christoph Waltz) finds an advanced cyborg with an active human brain in a scrap yard. He takes the head of the cyborg and attaches a body, breathing life back into her and naming her Alita. Alita (Rosa Salazar) has no recollection of her past or the world around her and sticks close to Ido to better understand herself and Iron City. She learns about Motorball, the brutal sport that promises its champion passage into the paradisic sky city of Zalem. As a result, Alita embarks on a journey to uncover Zalem’s secrets at the same time as discovering her own. 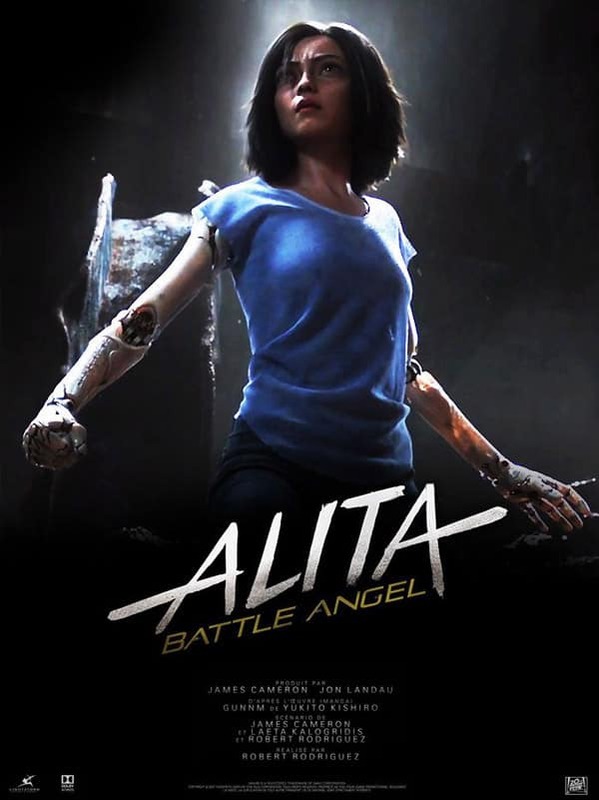 Writer and producer James Cameron has worked on Alita for two decades, adapting Yukito Kishiro’s manga, Battle Angel Alita. He bought on Robert Rodriguez, sharing a 180+ page script and another 600 pages of notes. Rodriguez pared the story down to a manageable script while maintaining the core scenes pleasing to Cameron. Production began in 2017 and the film released early 2019. I had my reservations about Alita. Upon seeing the marketing media for it, her manga style eyes seemed to be a little unnerving. However, I quickly adjusted to them and ended up finding the title character kind of… cute! The film is visually stunning, as to be expected from the director-writer duo, boasting cutting edge CGI technology and intricate cyborg designs. Another pro point for Alita is Motorball. I adored this sport and felt my eyes light up every time a Motorball scene appeared on-screen. Couple this with the beautifully choreographed fight scenes and the immersive character development and this film is a winner in my (relatively small) eyes. It ends on a cliffhanger though and we can expect to see a sequel that I feel genuinely excited for. See if you can spot the huge name celebrity cameo who appears toward the end. Read our review on Apex Legends. Thomas is an avid film lover and author. At the age of 23, he found work as an IT Technician at his old school where he achieved the freedom and happiness to continue writing. It was at this job that he unearthed more motivation through inspiring the students to realise their own talents and subsequently finished his first book in the Naeisus universe. Aside from writing, Thomas is an old school nerd and loves to play video games. His other hobbies include playing the guitar and cooking.